In his panel presentation, “Enhanced Realities and Immersive Experiences,” at the upcoming Tech+ conference on May 22 in New York City, co-presenter Chris Mayer, chief innovation officer at Suffolk Construction, will discuss how innovative technologies like AR and VR are changing the industry. But chasing the latest “shiny, new object” isn’t what the talk—or even the Tech+ expo—is all about. Mayer has worked at Suffolk Construction for the past three years, applying what he learned during his 30-year tenure in print media at The Boston Globe to effectively integrate people, process, and technology. In an industry that experienced significant disruption, Mayer says the challenges and solutions employed, along with “focusing on not just bright, shiny objects and technology, but how to create value out of that and the necessary steps of engaging people in the organization, and putting processes in place, were all potentially applicable” to the construction industry where he landed. And what counts isn’t just making incremental improvements to specific functions within the design and construction industry, which Mayer observes is highly distributed. Rather, it’s about taking a holistic view and rethinking the entire process end-to-end, he says. 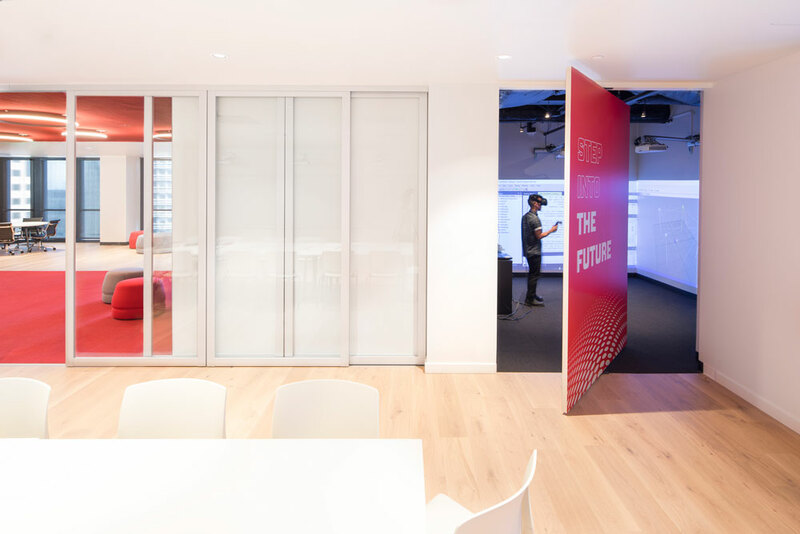 To that end, Suffolk Construction has created “smart labs” internally that serve as sort of operations control towers where technologies can be invented, tested, implemented, and scaled. 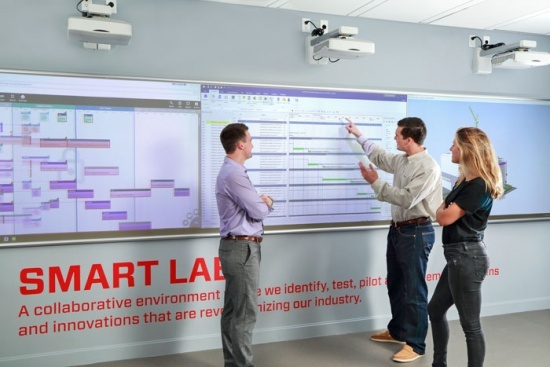 Utilizing a series of interconnected screens on what Suffolk calls “huddle walls,” the team at Suffolk can simultaneously view project information and financial reports or engage in lean strategies and design planning throughout the lifecycle of a project. 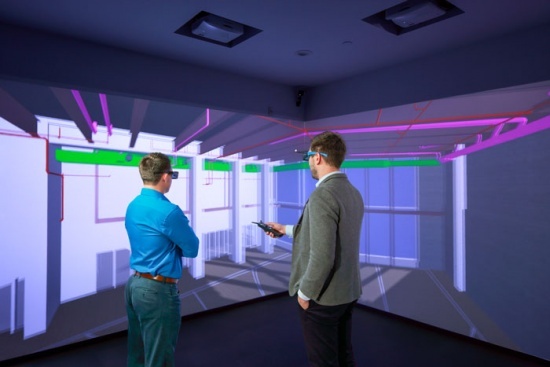 The labs also feature a virtual reality “cave” with head-mounted displays in which projects can be viewed individually or as a group. Whatever is most effective—whether it’s a 3-D model, a 2-D model, or shop drawings—is the tool that should be used, he adds. At the end of the day, that’s what adds the most value.